There are 56 Assisted Living Facilities in the Upland area, with 10 in Upland and 46 nearby. 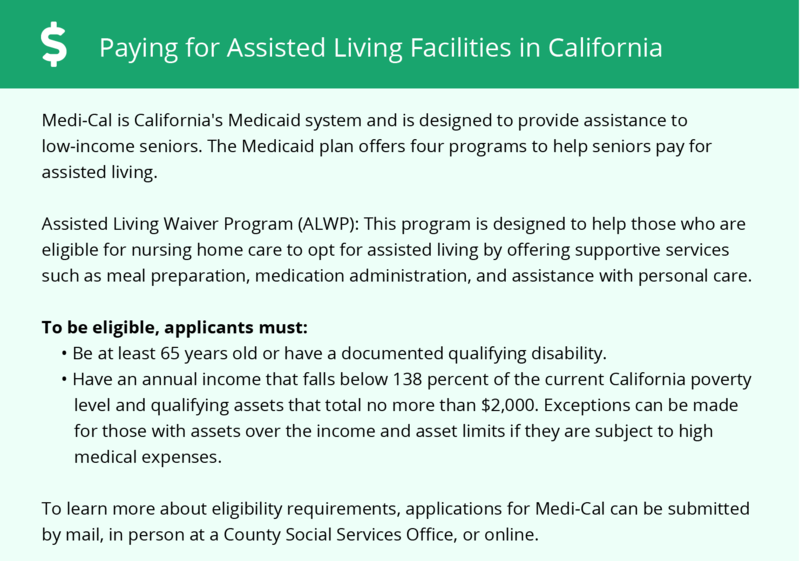 The average cost of assisted living in Upland is $3,798 per month. This is higher than the national median of $3,346. Cheaper nearby regions include Ontario with an average starting cost of $3,297. To help you with your search, browse the 200 reviews below for assisted living facilities in Upland. On average, consumers rate assisted living in Upland 4.6 out of 5 stars. Better rated regions include Pomona with an average rating of 5.0 out of 5 stars. Caring.com has helped thousands of families find high-quality senior care. To speak with one of our Family Advisors about assisted living options and costs in Upland, call (855) 863-8283. English Family Care Home, Inc.
Upland is located at the foot of the San Gabriel Mountains in San Bernadino County. It's population is 75,851 and median age is 38. There are a total of nine Residential Care Facilities (RCFs) located in Upland and another 48 in the surrounding areas of Rancho Cucamonga, Montclair, Claremont, Ontario, Chino, La Verne and Alta Loma. RCFs provide long-term care to seniors in need of assistance with activities of daily living, personal care like grooming, bathing, and dressing, and medication management. Staff is on-site 24 hours a day to ensure the safety and comfort of all residents. Upland has a high cost of living. Overall, it's 59.9 percent higher than the U.S. average. This can mostly be attributed to housing costs but is also reflected in expenses that do effect seniors. One example is the cost of transportation, which is 17% higher than the national average. The Upland area is home to world-class medical facilities, including San Antonio Regional Hospital, in case of medical emergencies or illness. In California, social security income isn't taxable for seniors, which means those receiving it will have some extra money to use towards the cost of assisted living. Seniors in Upland have a higher risk of becoming a victim of property crime than those in many other U.S. cities. For every 1,000 residents in the city, there are 30.1 reports of property crime, while the national average is only 25. Omnitrans offers local senior citizens in Upland and surrounding areas safe and reliable public transportation. Reduced fares are available for seniors. Winters in Upland are reasonably warm. With an average low of only 43 degrees during January, the city is considerably warmer than most U.S. cities, which have an average January low of 22.6 degrees. Seniors who are sensitive to extreme temperatures will enjoy the comfortable weather. Assisted Living costs in Upland start around $3,798 per month on average, while the nationwide average cost of assisted living is $4,000 per month, according to the latest figures from Genworth’s Cost of Care Survey. It’s important to note that assisted living rates in Upland and the surrounding suburbs can vary widely based on factors such as location, the level of care needed, apartment size and the types of amenities offered at each community. 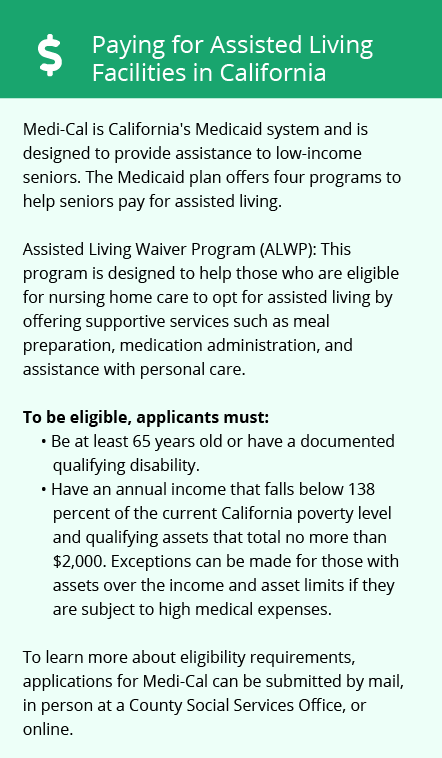 In California, seniors may be eligible for financial assistance under the Medicaid 1915(c) Assisted Living Waiver. This program helps to pay for the cost of services provided by residential care facilities. Seniors receiving Supplemental Security Income (SSI) may be eligible for an optional supplement (OSS) to help pay for the cost of room and board in residential care facilities. Facilities are restricted from charging more for room and board than the total combined SSI and OSS payment, minus a monthly personal-needs allowance of $131. Upland and the surrounding area are home to numerous government agencies and non-profit organizations offering help for seniors searching for or currently residing in an assisted living community. These organizations can also provide assistance in a number of other eldercare services such as geriatric care management, elder law advice, estate planning, finding home care and health and wellness programs. To see a list of free assisted living resources in Upland, please visit our Assisted Living in California page. Upland-area assisted living communities must adhere to the comprehensive set of state laws and regulations that all assisted living communities in California are required to follow. Visit our Assisted Living in California page for more information about these laws.